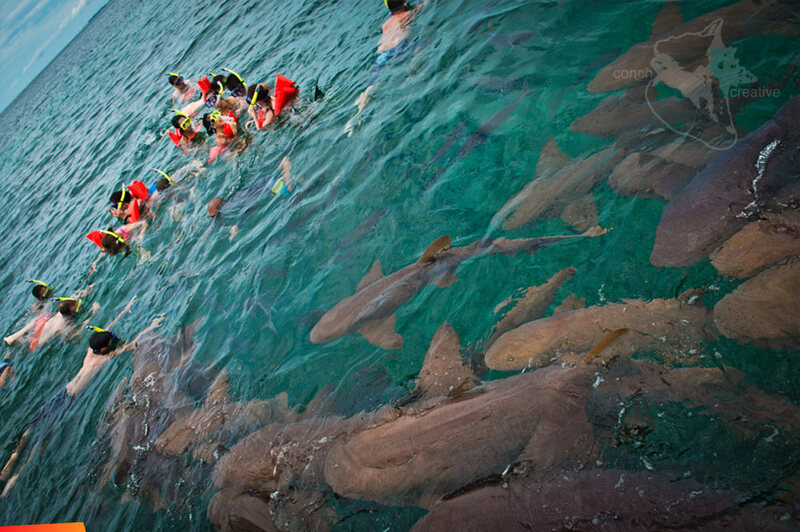 It’s such good fun to throw your family into the warm water and watch them enjoying themselves… …and then to arrange for a bunch of sharks to chase them. Swim! Swim!